Every New York City sitcom from Friends to Seinfeld had its characters living in beautifully large apartments that overlooked a sea of lights and skyscrapers. They made you think that as a struggling young adult, you could still have it all. Nowadays, college students know the truth: college debt comes with sacrifice. But that doesn’t mean you should give up on delicious food. Read on to find 10 places to eat around NYU that allow you to eat without the guilt of spending all of next semester’s tuition. In the mood to try something a little different? 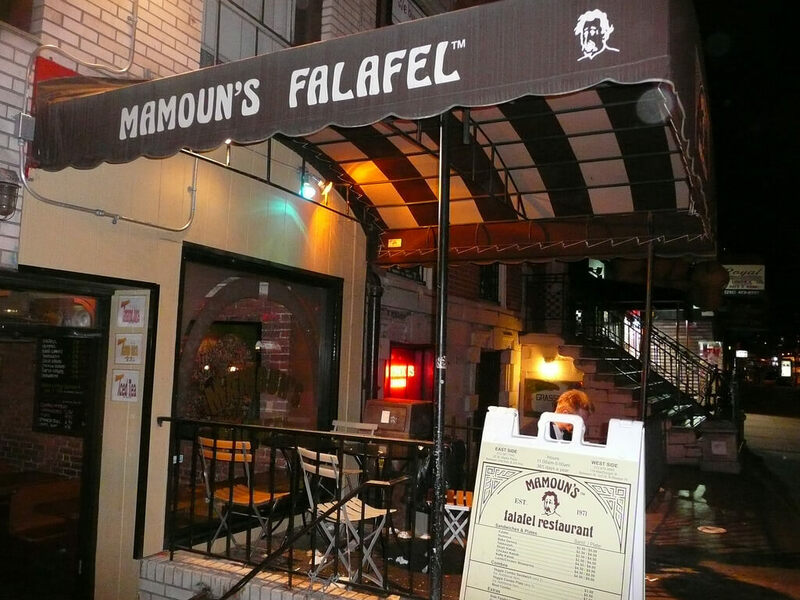 Ditch the burgers and fries for an original Mamoun’s Falafel. You won’t want to miss trying anything from their tabbouleh to their famously tasty falafel. Follow it up with some baklava that you’ll remember and crave for weeks to come. The sweet honey and crispy layers will stay in your mind for a while until you can’t resist going back for another taste. The best part: You can get your whole memorable meal for under $12. Nothing tastes sweeter than saving up money, right? Beware the small size of the restaurant—takeout may come as the best option. “It is a very small one, you can barely sit there. I would not recommend it for people who want to sit to eat,” Master’s of Law student at NYU Amin Yacoub said. Nothing feels better than walking around the beautiful streets of Greenwich Village, munching a lovely meal. You’ve been wandering around searching for a light meal to tide you over. Imagine golden fries packed with everything delicious, just begging for you to eat. 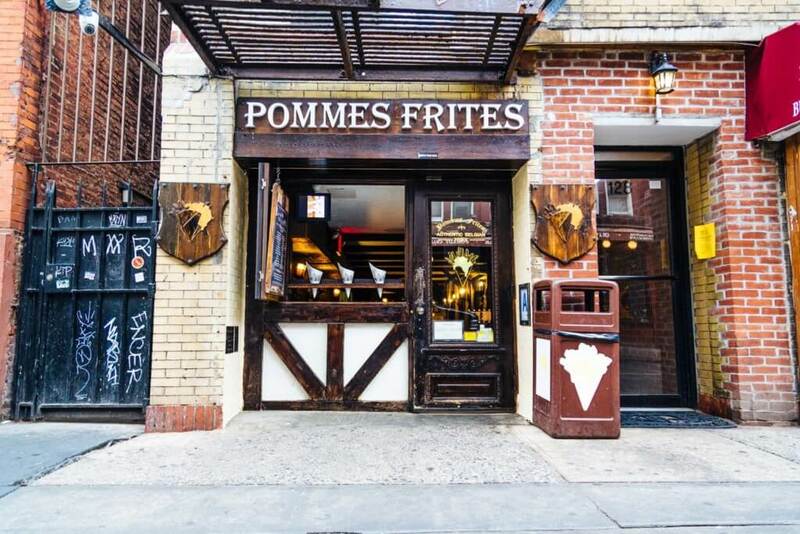 Meet Pommes Frites, a food joint completely devoted to the art of making fries that would make even the most stoic eater smile. You also have access to about a hundred sauces to dip the delicacies in. From Vietnamese Pineapple to Rosemary Garlic to Smoked Eggplant sauce, you can try anything your heart desires for a low price. Get three sauces to coat your fries for a price that’ll stay under $15. You won’t find any fries so delicious for a better price. I’m not afraid to say it: Starbucks gets more praise than it deserves. The coffee may taste all right, but the price doesn’t equal the quality given. The pastries don’t quite live up to expectations as well. What we all need is an authentic coffee shop devoted only to their craft. You’ll find Think Coffee the perfect combination of tasty food and a great atmosphere. Not only do they serve drinks, they also delve into salads, paninis and bagels, so you won’t feel stuck simply drinking coffee on an unhappily empty stomach. You’ll feel right at home as a college student as well. Bring your laptop and hunker down for a relaxed afternoon of studying while still enjoying a lovely assortment of dishes. Don’t worry about the combination of comfortable chairs and your boring textbook putting you to sleep; the coffee will keep you awake. 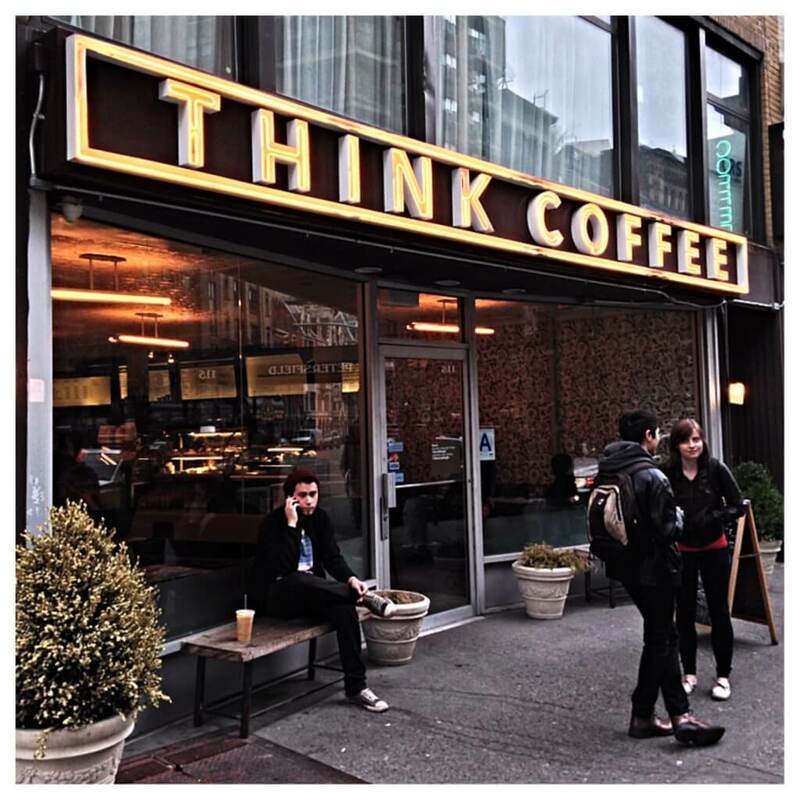 “Think Coffee has other college students and neighborhood residents and is very warm and eclectic inside,” sophomore at NYU Natalie Perritano said. Hummus has the amazing ability to take an already delicious food and elevate it to unreachable heights effortlessly. Therefore, it shouldn’t come as a surprise if this delicious dip ends up haunting even your dreams, making you wake up hungry. Should an eatery exist that dedicates itself solely to making delicious hummus? Absolutely, yes. Hummus Place gives you a whole range of different dishes to try all at affordable rates and every dish hearkens back to its traditional hummus. Try the eggplant sandwich for a mixture of hummus and eggplant that dances around on your tongue. 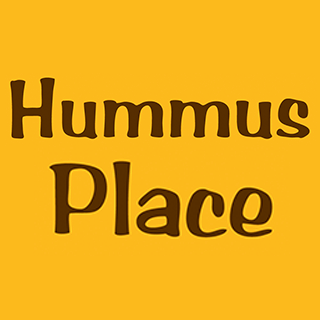 Whether you want to try something different or simply can’t get enough of hummus, Hummus Place will always satisfy your appetite. You won’t have any desire to go back to Chipotle after trying Dos Toros. Here you can find some of the tastiest tacos, quesadillas and burritos in New York all at an affordable price. Their Pollo Asado burrito has more flavor than every bite of dining hall food put together. 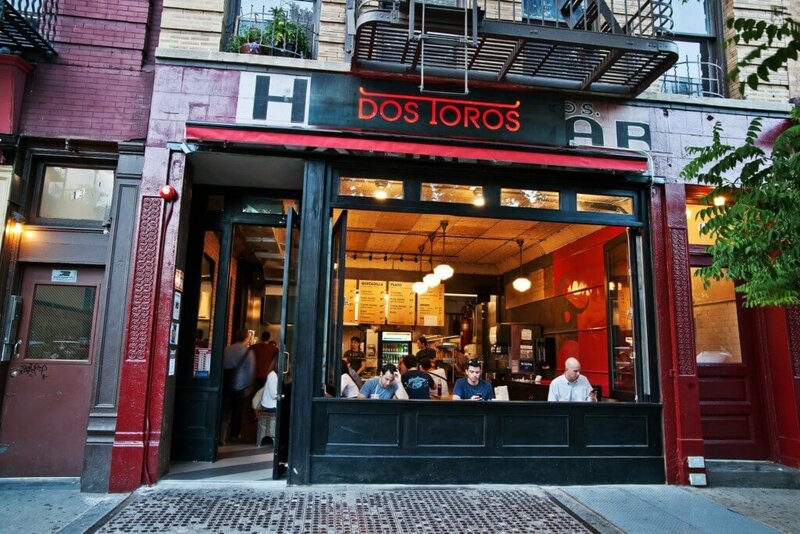 Leave behind the cheap imitations of Mexican food and try Dos Toros from something a little closer to home. “Dos Toros is like a better Chipolte. They melt cheese in their burritos, have great Spanish rice, their steak is actually hot unlike the coldness of Chipotle and their guac is the best,” said NYU junior Daniel Greenberg. Spend less than $10 on your lunch or dinner and you’ll leave smiling from more than the just the food. You may know New York as a melting pot with a huge assortment of different cultures and people packed together in a beautiful combination of ways of life. Food choices come as representation of this fact. You may never have tried Vietnamese food nor have had the chance to try such amazing quality in any other place than NYC. The Saigon Shack comes through with delectable dishes of all kinds that’ll feel just as fun to learn about as to taste. Try the S.S Spicy brisket bánh mí filled to the brim with juicy brisket or go with the classic but just as delicious beef pho for something a little more familiar. Don’t play it safe by sticking to the food you know. Do yourself a favor and try as many cultures’ delicacies as you can. 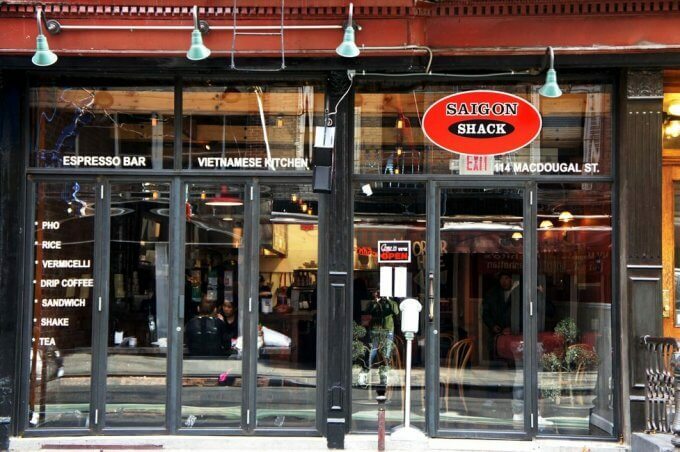 Saigon Shack will put you on the road to a time of purely exquisite food. If you took our suggestion and visited Mamouns Falafel, then with only a few steps you can reach another delicious destination. Café Reggio comes as unmistakable with its bright green walls making it stand out against a brick background. Inside you’ll find a vast assortment of Italian food, packed high with sophisticated yet affordable dishes. Step out of your comfort zone and try the Conarino Voltaire, a plate that will satisfy even the most dedicated cheese lover. The coffee will quench any desire for deliciousness as well. 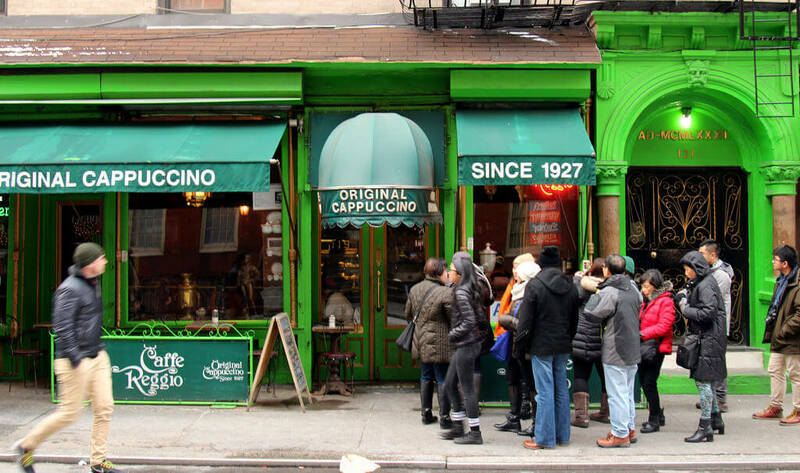 “[The] best coffee is at Reggio, the place right next to Mamoun’s,” Yacoub said. Go from admiring the eye-catching architecture of the establishment to enjoying everything tasty it has to offer. After enduring a tough exam, you want nothing more than to grab something sweet and let out a sigh of relief that you didn’t completely fail. 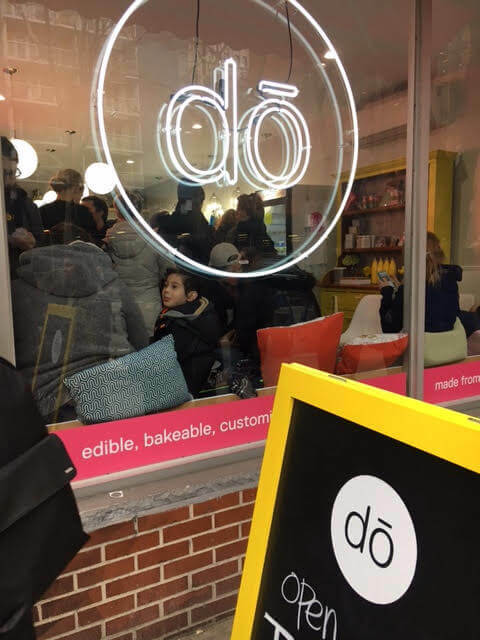 Instead of reaching for that Ben & Jerry’s tub you won’t end up putting down, take a little walk to DŌ to grab that much needed treat. You can get up to three scoops of delicious cookie dough, which as we all know, we sometimes need more than a baked cookie. You have never seen so many different variations of cookie dough until you’ve visited this shop. Once you go, you won’t want to leave. Luckily all the addicting sweets won’t make more than a tiny dent in your wallet. That may feel like the sweetest thing of all. Everyone knows about New York pizza, which many claim to be the best pizza in the country. Nowhere else comes close to the fluffy crust, perfectly melted cheese and tasteful toppings. What you don’t normally hear about: the price of that same pizza. 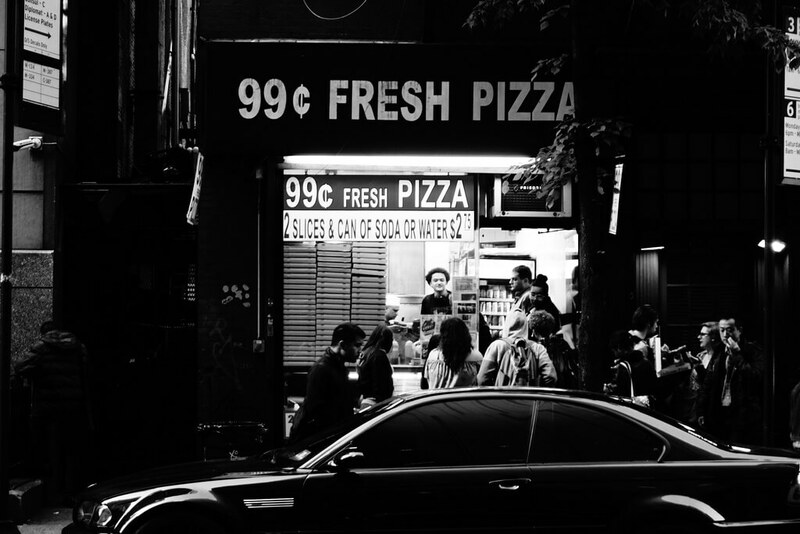 99 Cents Fresh Pizza comes as a miracle, giving you both the delicious pizza you’ve been craving for a whopping $1. “[There’s] nothing better than heading home after a night out and grabbing a slice. Honestly, I think it is better than Joe’s, but people get angry at me for saying that,” NYU sophomore Ryan Cho said. Don’t settle for spending every penny you have left on overrated, expensive pizza places. Check out 99 Cents Fresh Pizza for an amazing deal you won’t find in many places. Any vegetarians out there? 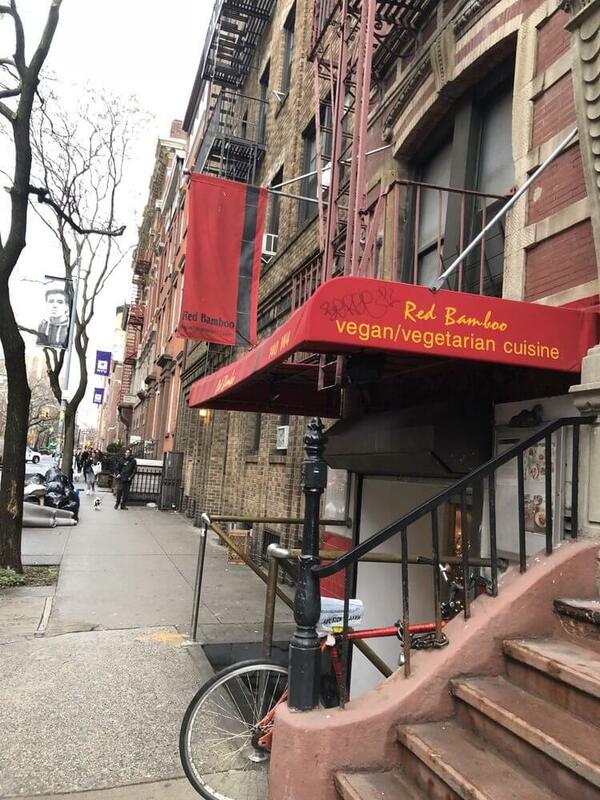 You’ll find Red Bamboo’s menu a large assortment of vegetable dishes from their mouthwatering black bean ginger stir fry to the quinoa with kale salad for everyone wanting something on the healthier side. Move onto the section of specifically vegetable entrées for a more traditional meal. Try the vegetable tempura for a unique combo of crispy outside and juicy inside. Red Bamboo has a more upscale atmosphere, so if you want to impress your parents while still having money in the bank, try it out. Even your meat-loving friend will enjoy themselves at this tasty establishment with their selection of soy cashew chicken to soy sesame beef.